Well, I missed a few. Then again, my idea was to talk about the things he should say, not the things he would say. However, with that said, I know I would’ve missed the two ol’ standbys. It’s actually a tie for first, so I’ll go with the oldest first. Blame Bush. Jeepers. …tell us why we went, tell us we did what we said we were gonna do, and now we need to reasonably leave. He didn’t. We got mumbo jumbo having more to do with his promise to draw down by July this year and be out by 2014 than with any meaningful milestone. He spoke to this one directly. But I don’t know what our role is any more AFTER the speech than before it. He mentioned that we do have a role. That America should lead and that it is because of that role that we are engaged in Libya. But, as I expected, he didn’t mention why we weren’t in Syria. Or Yemen. Which is strange, really, ’cause he DID mention that we are there to protect he democratic process of lovers of liberty. I think he thinks he addressed this. He wants to leave Afghanistan in the hands of the Afghan government. Which, really, is the right thing. But, it WAS in the hands of the Afghan government before we came. What did we DO that now allows us to go home? In summary I think it was a weak speech. But, he met my expectations. High on yackitty yack and low on substance. 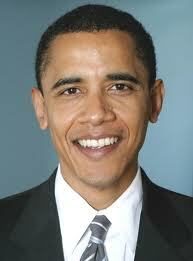 This entry was posted in Diplomacy, Government, Politics: International and tagged Afghanistan, Barack Obama, War. Bookmark the permalink. Thank you for telling me what our President said . I generally cannot listen to him . ” We got mumbo jumbo having more to do with his promise to draw down by July this year and be out by 2014 than with any meaningful milestone. ” That has been one of my peeves with this President, he always lacks clarity . He is deliberately murky so that later on he has plausible deniability . I generally cannot listen to him . I resonate with that emotion! That has been one of my peeves with this President, he always lacks clarity . He is deliberately murky so that later on he has plausible deniability . 1. He’s a talker. And to make it worse, he’s a talker of dreams and aspirations. He’s not a talker of action items, milestones, ownership and accountability.